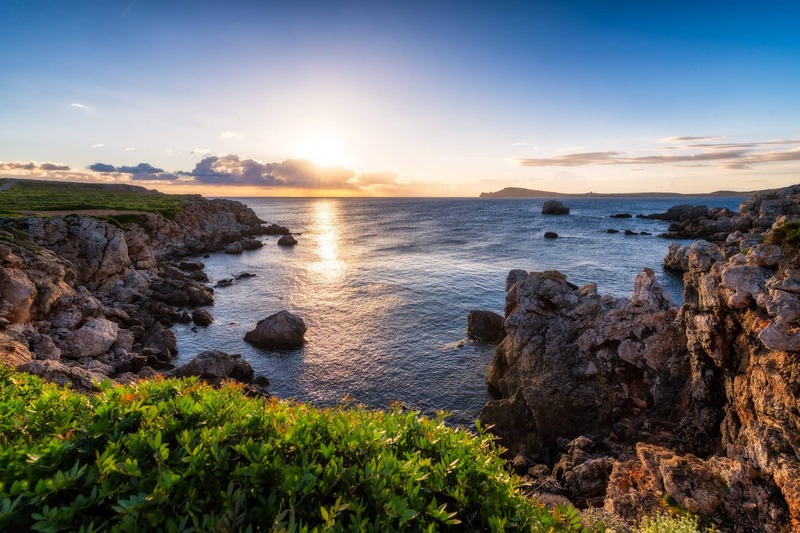 Cabo de Cavalleria is the northern headland of the Menorca island. 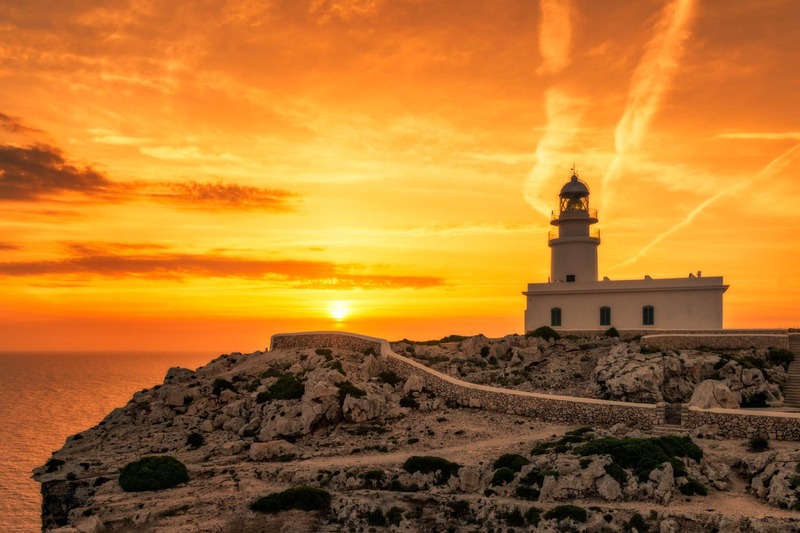 During the spring months, you can observe the sun rising just behind the cliffs and the lighthouse which stands almost on the edge of the coast and the sea. 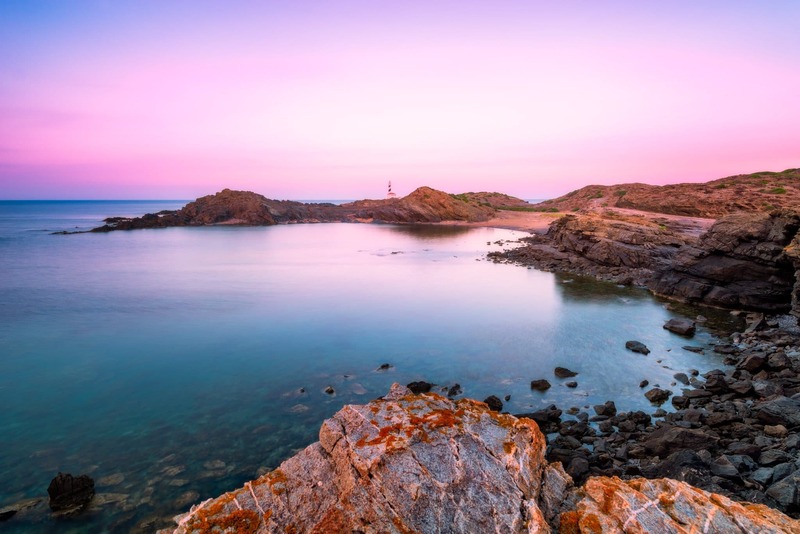 The lighthouse was built on the tallest cliff in the Cabo de Cavalleria headland and in total, stands at 94 meters over sea level, which makes the emanating light visible from the sea, even at a great distance. 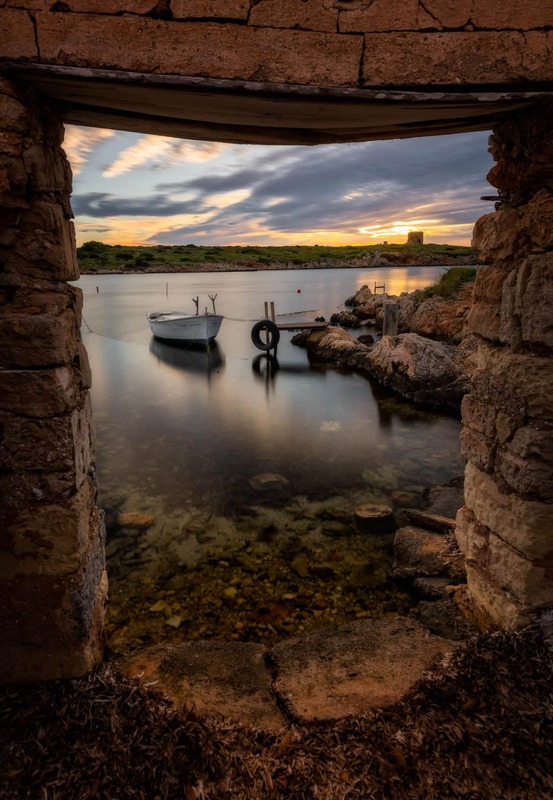 The light from the lighthouse flashes twice every ten seconds when the night comes. 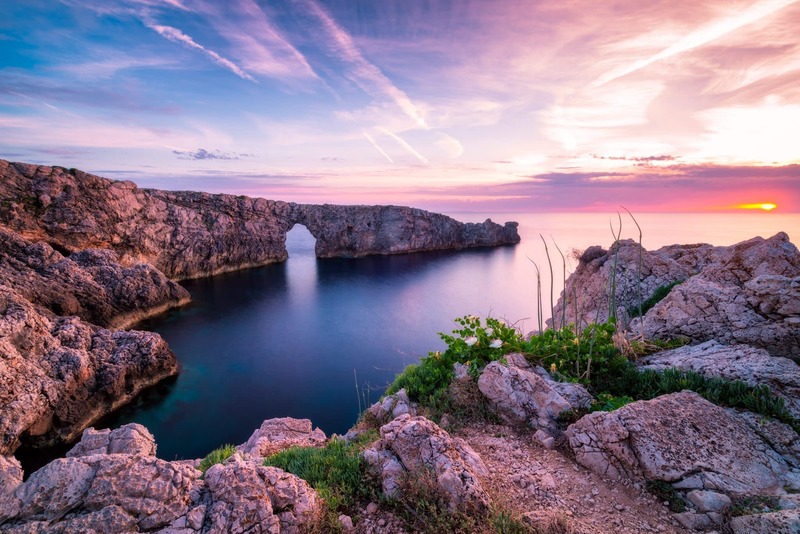 When I saw this limestone formation on the Menorca island, I immediately thought that this arch had to have been formed by human hand – this shape could be perfectly used as a guarded gate to an ancient port. In reality, Pont d’en Gil, as it is called in the native language, is a rock formation made fully by the forces of nature.